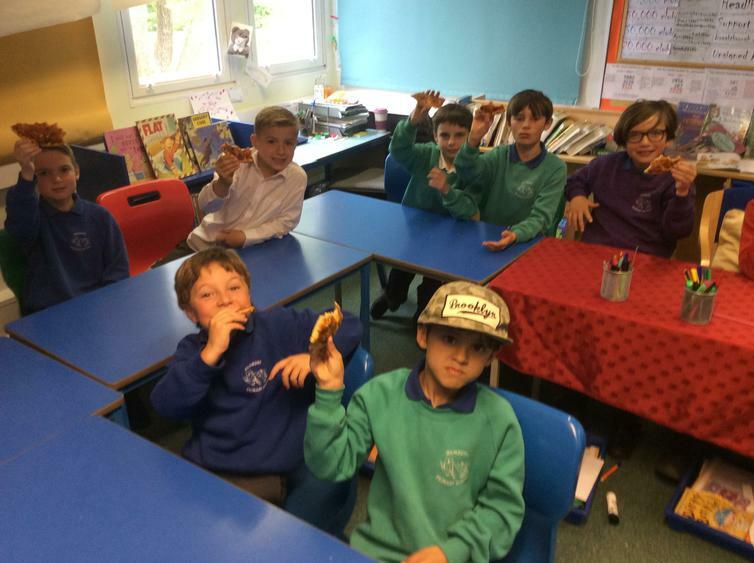 Over the past few weeks, children from Year 2 - 6 have been working hard in the hope of being invited to the pizza and movie reward for their super times tables skills. 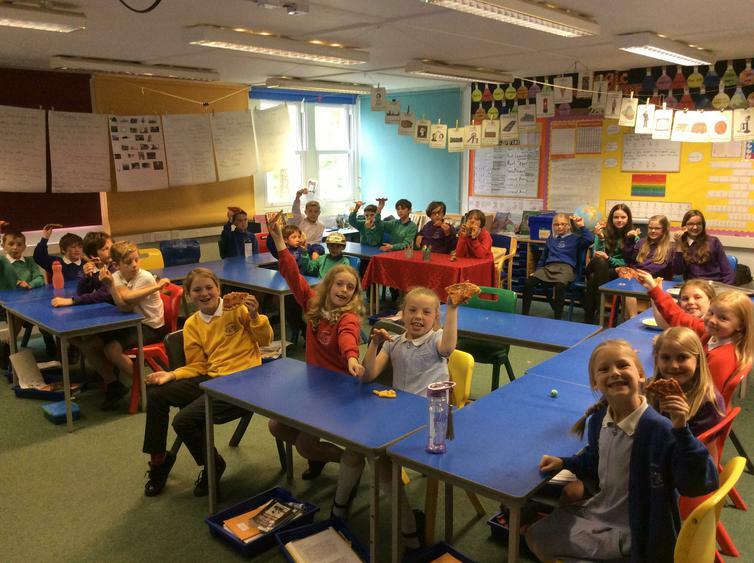 In each of these classes, the most improved and fastest boys and girls were invited to a special lunchtime reward. 'Rock Heroes' were also invited. 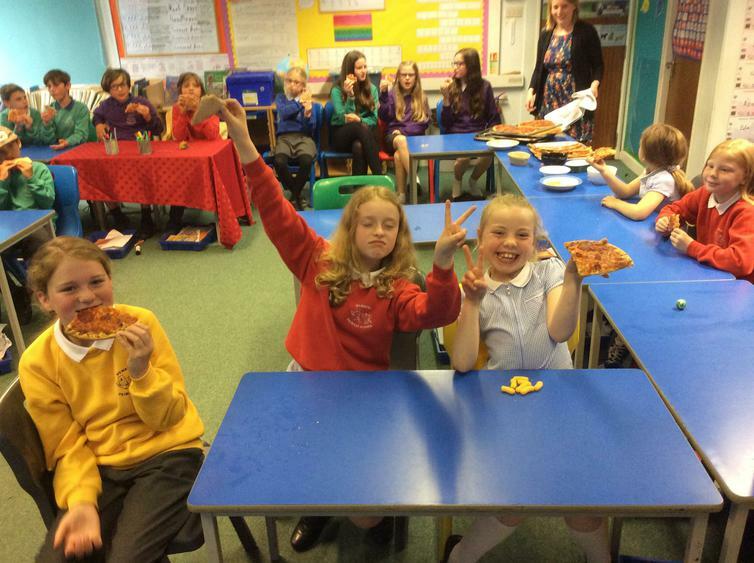 They were served pizza and snacks whilst watching a movie in one of the classrooms. Whilst it's impressive how fast some children can recall the multiplication and division facts, it's equally impressive how much progress some children have made. In fact, some children are now answering questions on the TTRockstars website, on average, 15 seconds faster than when they first had a go! 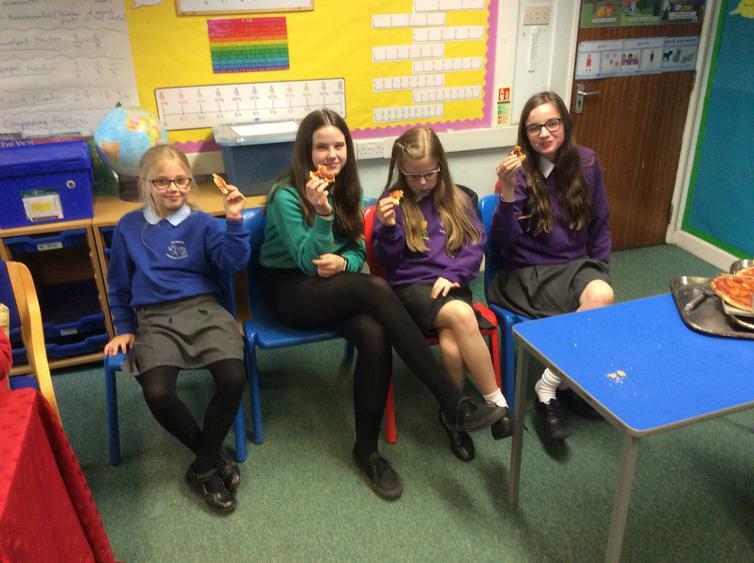 Well done to all children who were invited. In more exciting TTRockstars news, we have entered a TTRockstars Red Carpet event in Plymouth which takes place in July. We will be choosing our fastest 2 Rockstars to represent the school against the fastest children from other schools across Plymouth. The fastest child at this event will be crowned as 'Plymouth's Rock God 2018'. 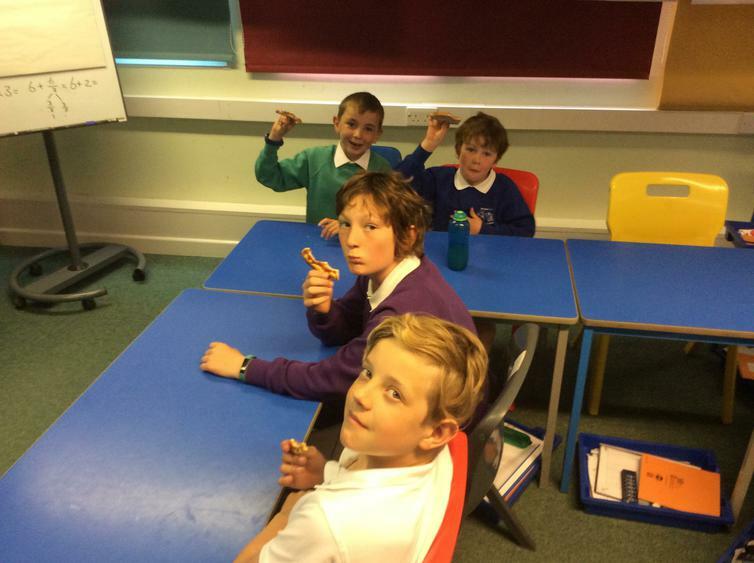 As it stands, Eddie (Year 5) is the fastest in the school with an incredible average speed of 0.47 seconds per question, closely followed by Alexander (Year 6) whose speed is 0.55 seconds. However, there is plenty of time for others (who aren't far behind!) to catch up as we don't have to submit our 2 representatives until Friday 15th June. Good luck to all children!